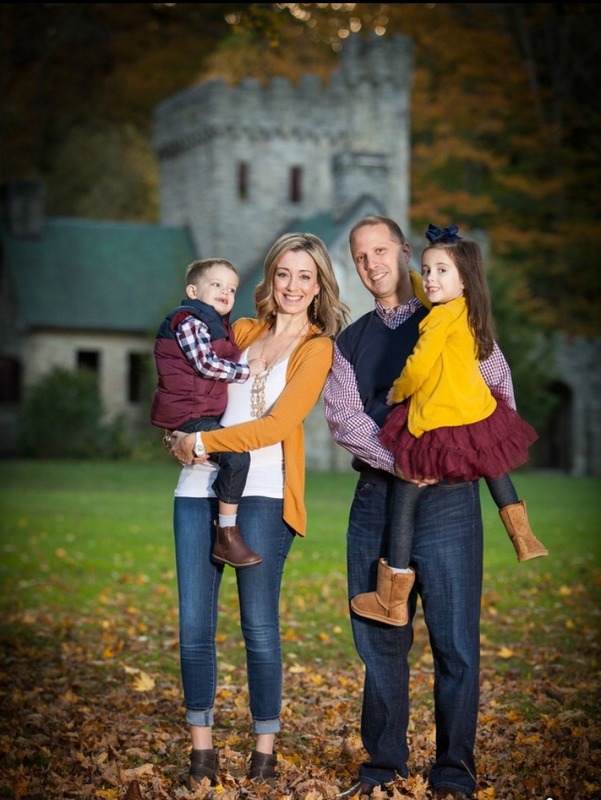 The Suburban Style Life: Happy 4th Birthday Nicholas! Happy Monday friends!!! I hope you all had a wonderful weekend. 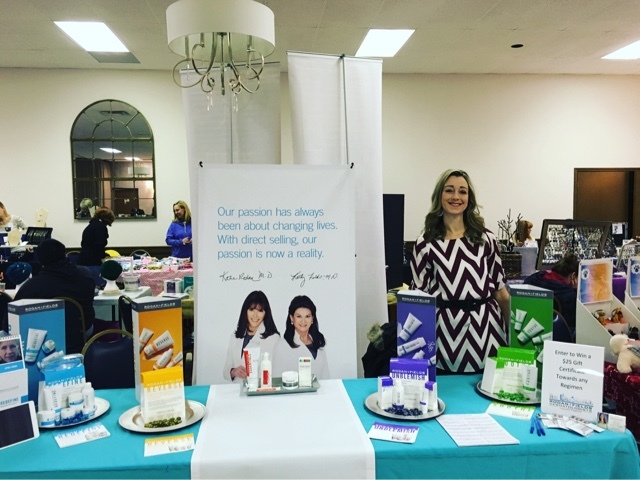 Kids activities pretty much filled our calendar and I also had a Rodan + Fields event at our church. And we also celebrated this boys 4th birthday!!! I still can't believe my sweet boy is 4, it seems like just yesterday I was writing this post in celebration of his 3rd Birthday. It's so fun to look back and see what he was into a year ago and how much he has grown. After a little bit of a rough transition, Nicholas is now loving school. The tearful drop offs seemed to have stopped and now he can't wait to see his friends. I am so thrilled he is loving school now and can't believe in 2 months he will already be finished with his first year of preschool! 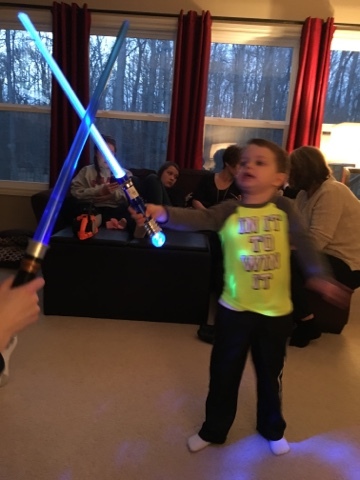 He also loves swords as much as he did when he was three with his new favorite being his new Star Wars Life Saber. When Nicholas isn't fighting off the bad guys, he is actively playing his favorite sport which right now seems to be hockey. 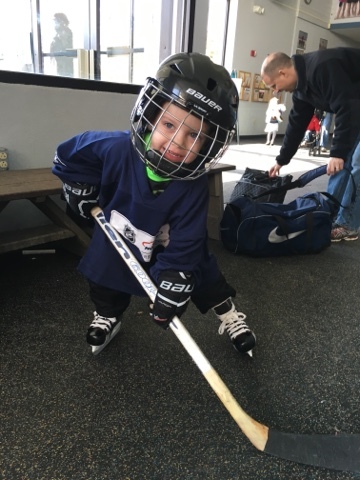 He just passed Level 1 Ice Skating and can now officially enroll in an Intro to Hockey Ice Skating next Fall. He is so excited!! Nicholas also just began his first season of flag football and is loving it so far. He is playing with a bunch of neighborhood kids and I know they are going to have a great season! As much as Nicholas loves playing with his friends, no one can take the place of his beloved Sister. He is truly lost and follows me around all day while Jillian is at school. Once she comes home, he is like a completely different kid and Mama no longer exists. Lol! There is just nothing he likes doing more than hanging out with his Sister. 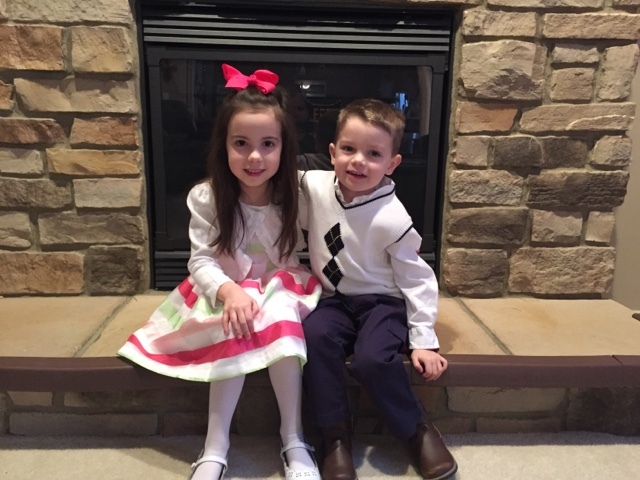 Don't get me wrong, there are days he is the typical little brother and I have to constantly put him in timeout for hitting, tackling, or punching his Sister but he truly does love her. I hope they will always be this close! 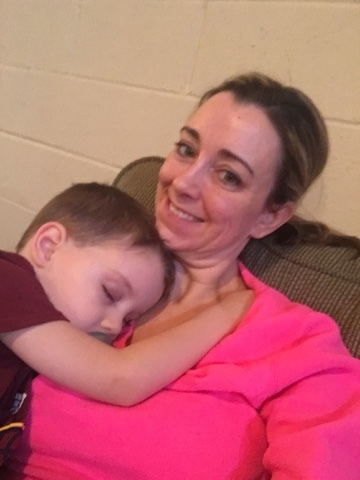 Even though this little man is 4, he is still just as snugly as he was the day we brought him home from the hospital. We spend our mornings cuddling while Jillian is at school and I love our special time together just the 2 of us. I am constantly reminded these days just how fast time goes when your kids are little and try soak up every cuddle I can. He truly is Mama's boy and I just love his precious heart. As sweet and cuddly as my little man can be, he also is a feisty little guy! He definitely has a bit of a temper streak and will let it loose anytime he doesn't get his way. Look out! He certainly doesn't have a problem dishing it out to others but has a terrible time on the receiving end. If you tell him No or correct him, he is a crumpled mess of tears on the floor or will storm off to his room. There is just no stopping him when he is in a mood. The dramatic life of a 4 year old boy! Nicholas's favorite foods right now are Chicken Noodle Soup, "Daddy's Cereal", Suckers, Popsicles and Guacamole. He certainly inherited my love for chips! His favorite movie is "How to Train Your Dragon" and favorite TV show is PJ Masks. Nicholas still has this Mama wrapped around his finger and makes my heart smile every single day. I will continue to soak up ever cuddle I can get! This sweet little boy has grown up from a crazy toddler to a little man in a blink of an eye. It seems like yesterday I was chasing him like a mad woman through the halls of Jillian's preschool while dropping her off and now I am the one dropping HIM off. How things have changed in just a short amount of time! 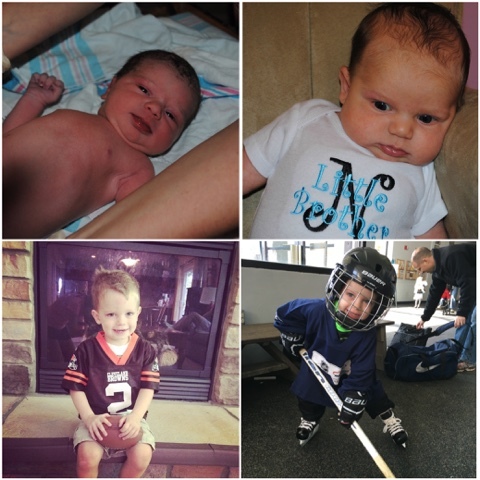 Happy 4th birthday Nicholas! We love you so much! 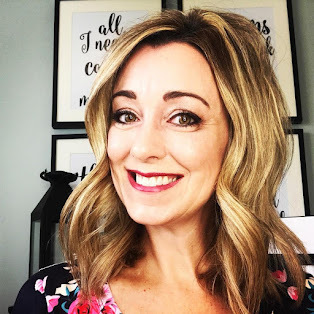 Those boys...they seem just how to find the way to a mom's heart!